l For irregular arc , multi-radius bending can be formed at one time (multi-curvature). l For common arc , it can be bended at one time or many times , which esure the arc is perfect . l Exclusive servo hydraulic system ensures the position precision is below 0.02mm. 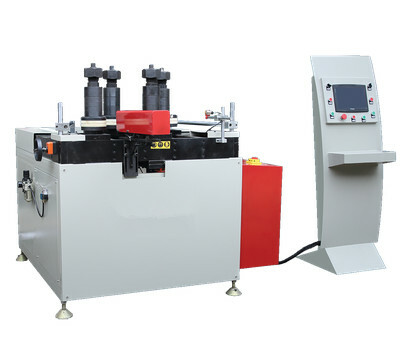 l Four rollers independently controllable, stepless speed regulation, automatic speed matching, to make up for the workpiece radius forming process of linear velocity difference [inner diameter and external diameter difference], the workpiece will not be damaged . l Acurate radius control and easy to complete multi-radius and complicated shapes. l Unique molds design techniques can avoid wrinkle, scratch, distortion, depression and other quality problems.